Hi friends! Lovable, stylish, and rosie Josie here! 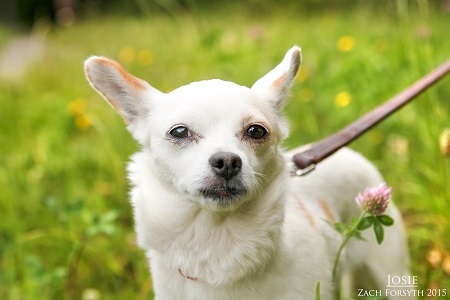 I am a delightful Chihuahua/Papillon mix that is just a lover. I lover of people, a lover of dogs, and a lover of fashions. I make besties everywhere I go! I own plenty of leopard print, so I can even be buds with a cat. I’m all about keeping it mellow this summer, drinking sangria, wearing maxi dresses (leopard print, of course) and enjoying good company. I can totally keep up on hikes and trips to the park, but I’m definitely more of a laid back poolside kinda girl. What do you think? Do you like my style? Then fill out an adoption application at pixieproject.org so we can schedule a meet and greet! I am fixed, vaccinated and microchipped. My adoption fee is $250 and I am currently in foster care.